From 8 pm Friday through noon Sunday. ST. PAUL, Minn. – An air quality alert has been issued for the southern half of Minnesota from 8 pm Friday through noon Sunday. 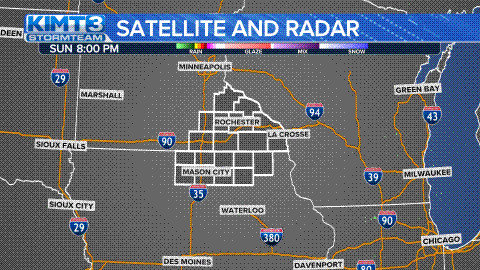 The Minnesota Pollution Control Agency (MPCA) says Canadian wildfire smoke coming from British Columbia, Alberta, and western Ontario will continue to affect most all of Minnesota Friday afternoon and evening as it moves from north to south across the state. This plume of smoke over northern Minnesota is expected to move south during the day. Waves of smoke will move over the state with air quality beginning to be impacted in the St. Cloud to Twin Cities area by Saturday morning and Mankato and Rochester by Saturday afternoon. Periods of smoke are expected to persist in this area through Sunday morning. During this time air quality will be unhealthy for sensitive groups, like people with breathing conditions, people with heart disease or high blood pressure, children and older adults, and people doing extended for heavy physical activity.